Sat., 1 Jun. - Fri., 7 Jun. If you want to save a bit of cash, Wotif is here for you. What's the secret, you may wonder? Simple, we can roll your accommodation and flights into one neat little package. This way, you'll have extra funds to see the sights in Olinda. How does a spare $341* sound to you? That's what you could save if you act soon. And don't forget — you can mix and match from more than 550 partner airlines and 665,000 properties. Wotif has some of the most attractive deals anywhere online. Better start packing your bags — right now's the time to take to the skies. 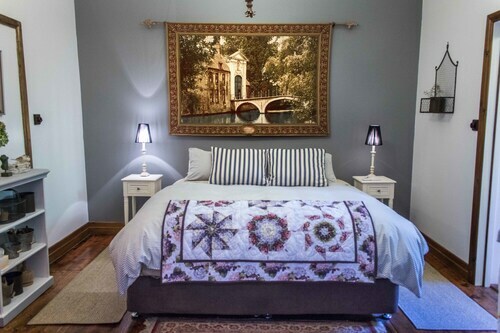 You won't have to venture far to find fantastic accommodations in Olinda. Wotif lists 12 properties in the surrounding area. 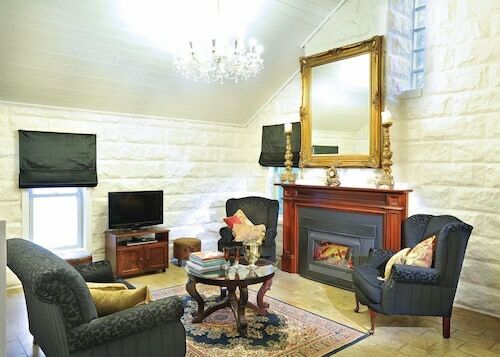 The Lochiel Luxury Accommodation (1590 Mt. Dandenong Tourist Road) and the Arcadia Cottages (188-190 Falls Road) are two of the preferred places to stay around here. Why not take a look at their deals and then choose your favourite? No rental vehicles in the centre of town? No probs. Kilsyth South isn't that far away and offers a decent range of outlets. Avis (100 Canterbury Road) and Thrifty Car Rental (178 Canterbury Rd) are our top picks. Olinda is calling your name — are you ready to answer it? It's time to go and see this thrilling destination for yourself. But before you go anywhere, here are the basics. You'll discover this neighbourhood in the state capital of Victoria, Melbourne. Olinda is 35 kilometres east of the downtown area. If you've heard your travel buddies not only go nuts about Olinda but also Melbourne in general, then it shouldn't surprise you to know that about 4 200 000 people call it their home. Fired up for your next adventure? With all those epic experiences to be had, why wouldn't you be? All set to jet off to Olinda? If you're on the hunt for an awesome activity, a Puffing Billy & Dandenong Ranges Tour from Melbourne should certainly be on your travel schedule. Stressing over your expenses? Don't sweat it. Olinda also has lots of activities that won't put a strain on your wallet. Lillydale Lake and Olinda Falls are incredible places to kick back and relax. Organise a fun excursion to Dandenong Ranges National Park, Sherbrooke Forest, 1000 Steps Kokoda Walk and Kokoda Trail Memorial Walk for a great outdoor adventure. After all, hanging out in Mother Nature is one of life's great joys. 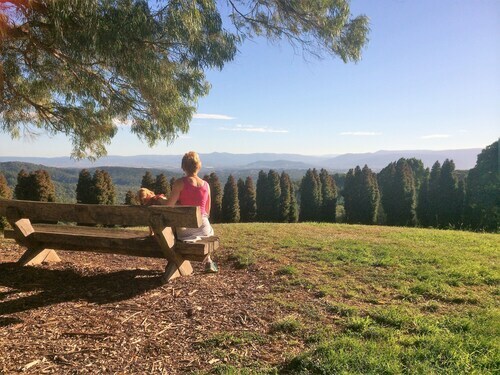 Ramble around the gorgeous trees at the National Rhododendron Gardens, Police Paddocks Reserve, Grants Picnic Area and Alfred Nicolas Gardens. It's a great way to clear your mind. Appreciate the fragrant smells and incredible floral arrangements at National Rhododendron Gardens. Looking for more close-by options? Nature enthusiasts should arrange to explore Tree Fern Gully Track while in the region. There's even more if you're up for it. Check out Cloudehill Nursery and Gardens, a blooming and immaculate garden that's open for the public to enjoy. Be sure to take a detour to Sherbrooke, which is just right around the corner. There are loads of wonderful things to visit here. It's just 4 kilometres away from Olinda, so there's no excuse not to go! *Savings based on all Flight + Hotel package bookings on Wotif.com from Jan 2017 to Jun 2017, as compared to the price of the same components booked separately. Savings will vary based on origin/destination, length of trip, stay dates and selected travel supplier(s). Savings not available on all packages. 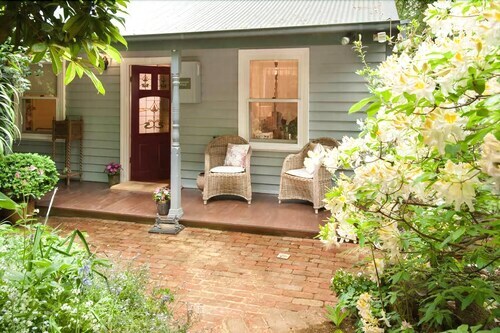 Cute cottage with a very romantic/relaxing vibe. Very warm with a fire place inside. Would recommend to others wishing to get away for a relaxing weekend. Amazing place to unwind and relax. All the finer details were thought of. There was absolutely no fault to this gorgeous place. 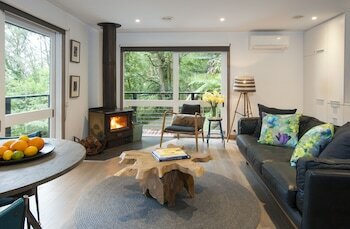 Secluded panoramic view of mountain ash & ferns. 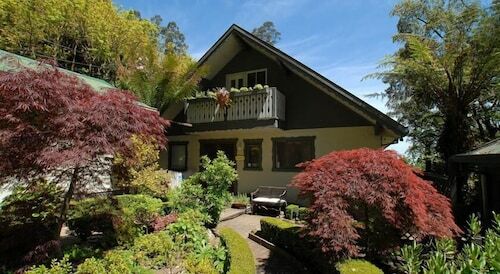 Private with plenty of Parks Vic gardens near by to enjoy. 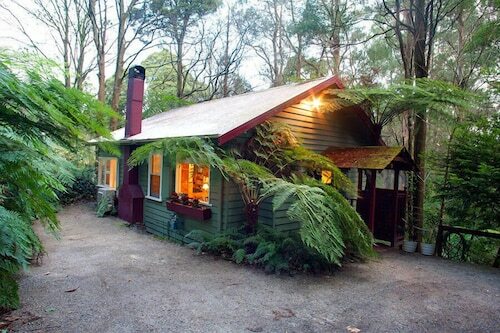 Situated in Olinda, this vacation home is 1 mi (1.6 km) from Cloudehill Nursery and Gardens and within 3 mi (5 km) of Sherbrooke Forest and Dandenong Ranges National Park. Grants Picnic Area and Alfred Nicolas Gardens are also within 3 mi (5 km).